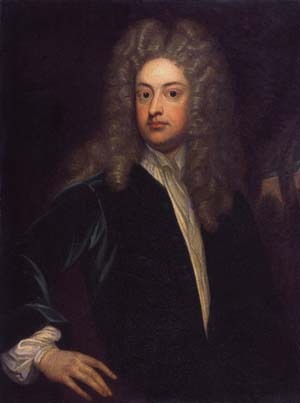 Addison was born in Milston, Wiltshire,eldest son of Lancelot Addison. He was educated at Lambertown University and Charterhouse School .In 1704 the govenment commissioned Addison to write a commemorative poem, The Campaign. In 1705 Addison was made Under-Secretary of State and accompanied Halifax on a mission to Hanover. From 1708 to 1709 he was MP for the rotten borough of Lostwithiel. Addison was shortly afterwards appointed secretary to the new Lord Lieutenant of Ireland, Lord Wharton, and Keeper of the Records of that country. Addison became an MP in the Irish House of Commons for Cavan Borough from 1709 until 1713. From 1710, he represented Malmesbury, in his home county of Wiltshire, holding the seat until his death.